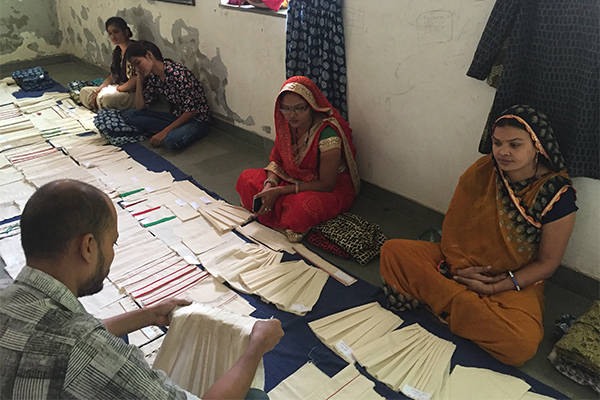 Collaborating with designers Amit Vijaya and Richard Pandav at Lakme Fashion Week Summer/Resort 2018, the women from USHA Silai’s CSR initiative are going against the grain to earn their own livelihood…. 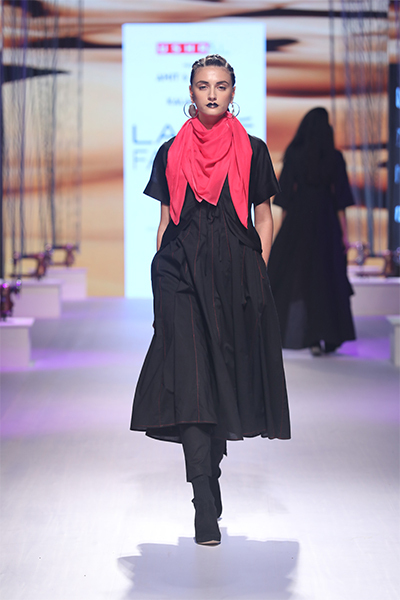 Five young designers at Lakme Fashion Week’s Summer/Resort 2018 edition joined hands with USHA Silai School, a community-based initiative founded in 2011 that empowers women to become entrepreneurs, to create a harmonious collection that coalesced the visions of the designers and the karigars. These ensembles are now being retailed under a newly launched label and are being stocked alongside other premium brands in Delhi. We immersed ourselves in a conversation with these catalysts of fashion as they narrated their journey of bringing to life narratives from remote areas through this venture. Designers Amit Vijaya and Richard Pandav collaborated with the artisans at the Kaladhera cluster in Rajasthan. From drawing inspiration from television series and magazines to incorporating his trademark finishing details, Vijaya takes us through his collection…. “Both Richard and I work with tailors through Usha Silai Project (USP) and we got an opportunity to work at the grassroots, right from developing and tailoring textiles to producing finished garments at the centres. When it came to the Kaladhera cluster, we were not only comfortable with the language but also our nativity and heritage partially belongs to Rajasthan. We felt it would be challenging, yet rewarding, to work with the women of this cluster keeping in mind the social constraints prevalent in the region. 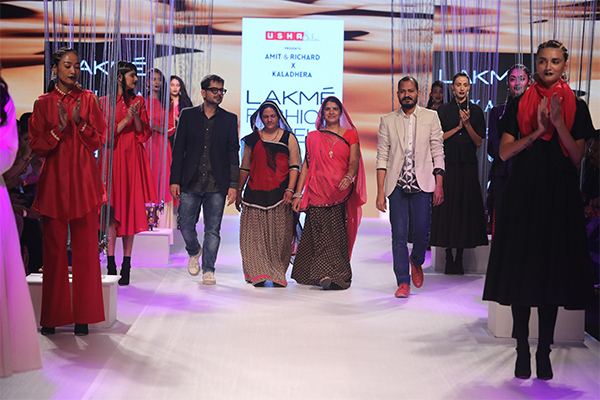 “Before our showcase at Lakme Fashion Week Summer/Resort 2018, we were sceptical about bring the karigars to the runway as they had never walked the ramp before. Since it was so far removed from their comfort zone, we wondered if they would able to do it. To our surprise, they were very most calm and confident. “When patriarchial families see women generating regular incomes, that by itself goes a long way in changing mindsets. Rekha, a young girl at the USHA Sillai School, was about to get married when we started the project. We were not sure if she would come back to work post the wedding, but on the day of the sampling, we saw her in all her bridal finery accompanied by her husband who had come to drop her at the unit. It’s a small step in the right direction, but it makes all the difference!